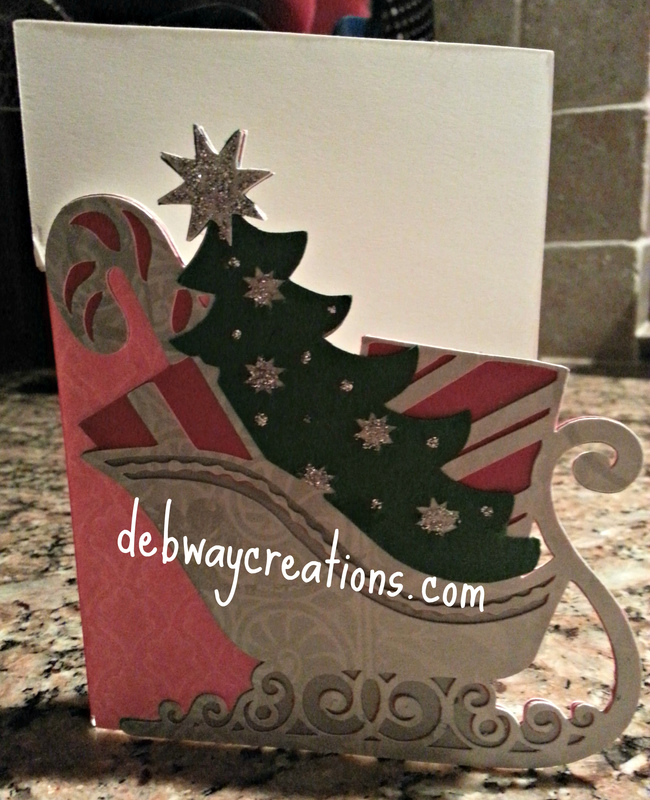 I was asked about how I made these cards using Anna Griffin’s Christmas Kitsch cartridge and my Cricut. First, I have an expression so I use CCR. On the bottom of CCR , there is a default setting of 2.5 for bringing all images to the mat. I changed that to 5.5. Then when I bring my images to the mat- they all will fit appropriately. 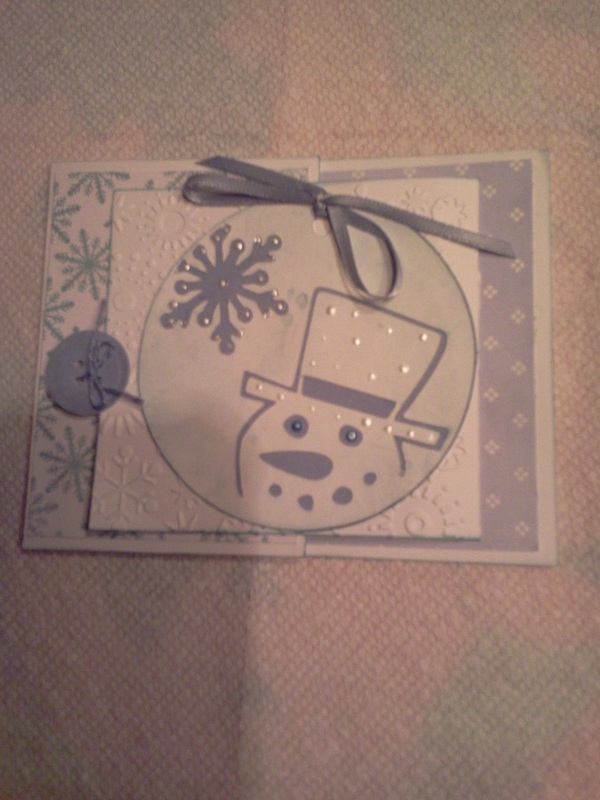 I first cut out the card base and then cut all the corresponding layers. Next you assemble the layers. 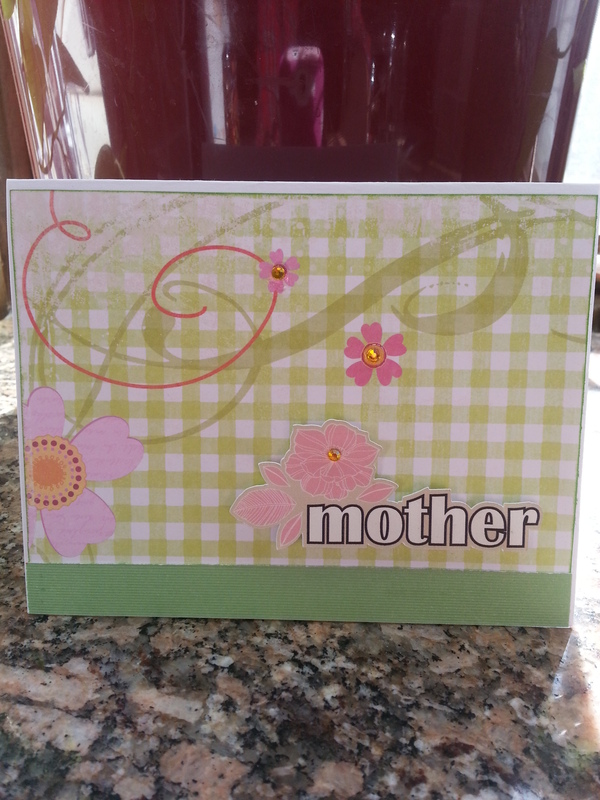 After they are assembled and decorated, I attach the completed layer to the card base. 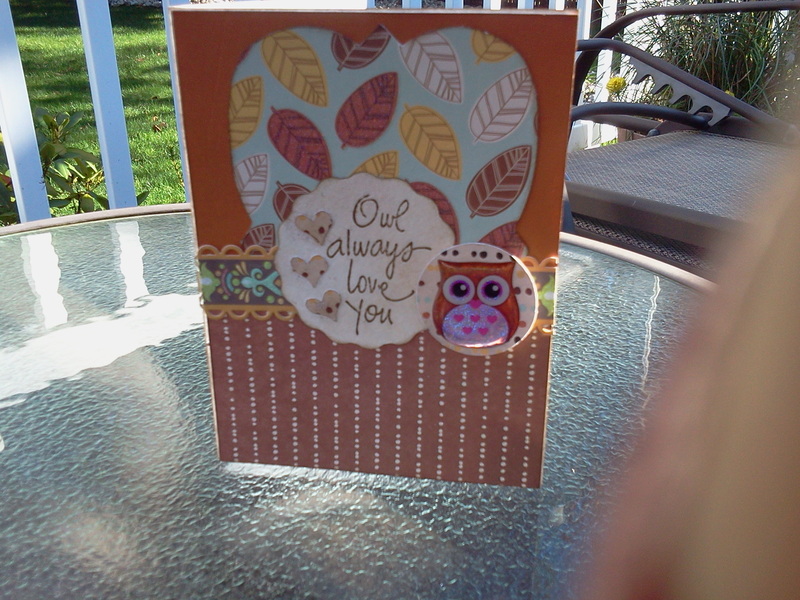 I haven’t added a sentiment to the inside of the cards yet. So that will be my next step. I hope this helps and feel free to ask me any questions. I have 50 cards ready to mail out to Operation Write Home. 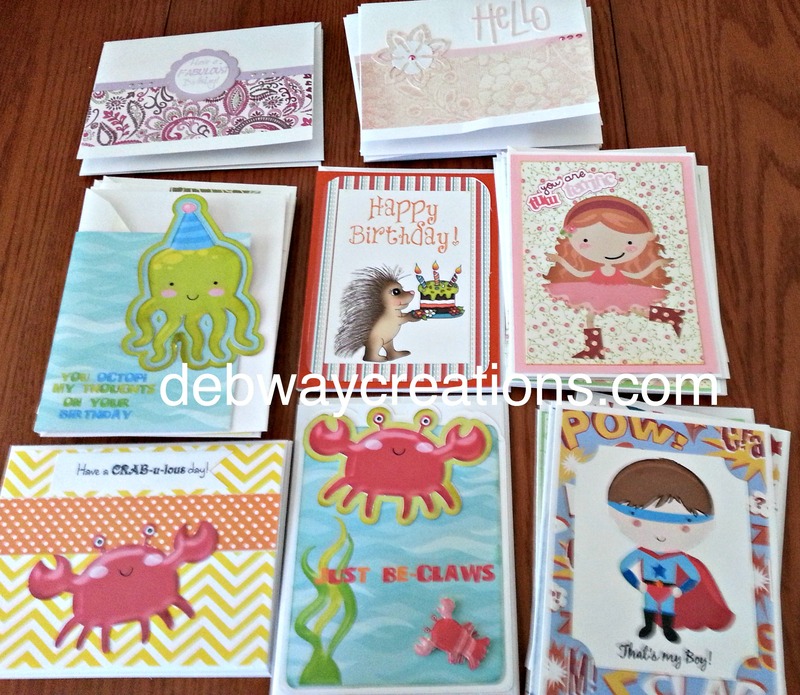 They are all stamped with OWH stamp, tucked properly in their envelopes and ready for the troops to use. 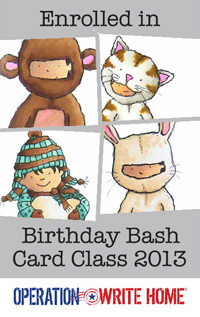 I have included cards for birthdays, missing you, kids cards, thinking of you, love and thank you. Here are pictures of some of the cards. 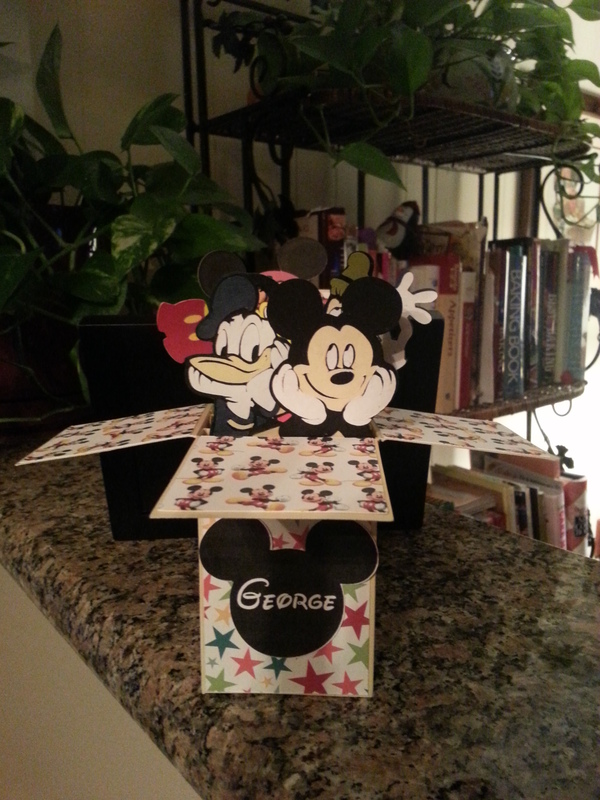 Today I made my first Box in a Card. 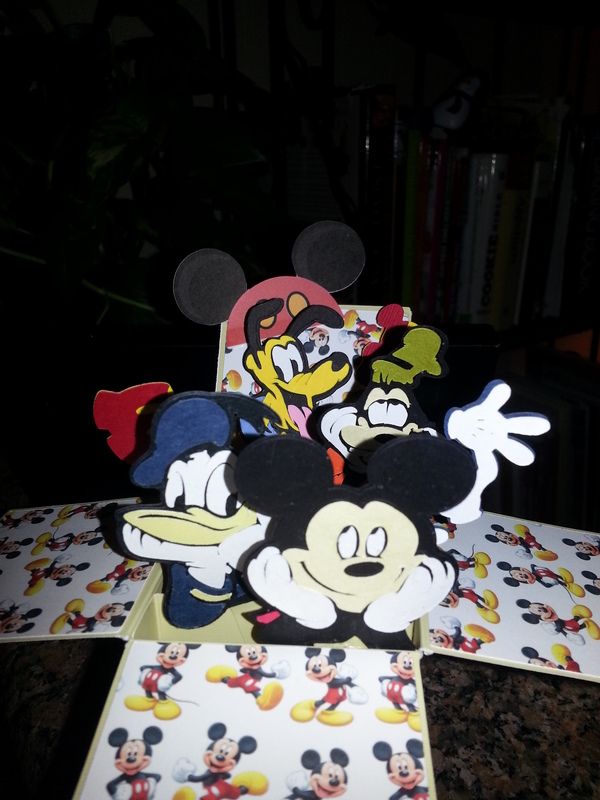 I used the Disney Mickey and Friends Cricut Cart. I followed the design that Cara Miller posted for the box on her Let’s Learn Cricut Facebook page. It is a closed group but if you are interested let me know so I can get you added. She provided the CCR file for the box and I was able to figure out the size of the images I wanted to add. I cut most of the images at 2.5 inches. When it is closed it folds flat so you can put it in an envelope. It was a lot of work but I made it for my grandson’s first birthday next week and he is worth all the effort! 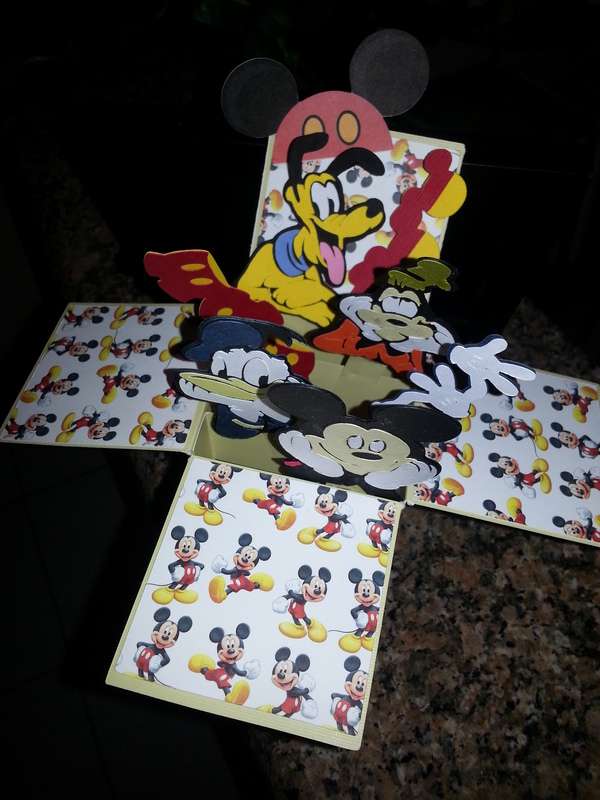 I am also going to enter this in CARDZTV 3d birthday challenge. I hope you all have a great day. Hi, The final challenge is to use a negative of a die or punch. I used the negative cut of my shape on the butterfly paper and stamped my sentiment in the space created when I taped it onto my card. 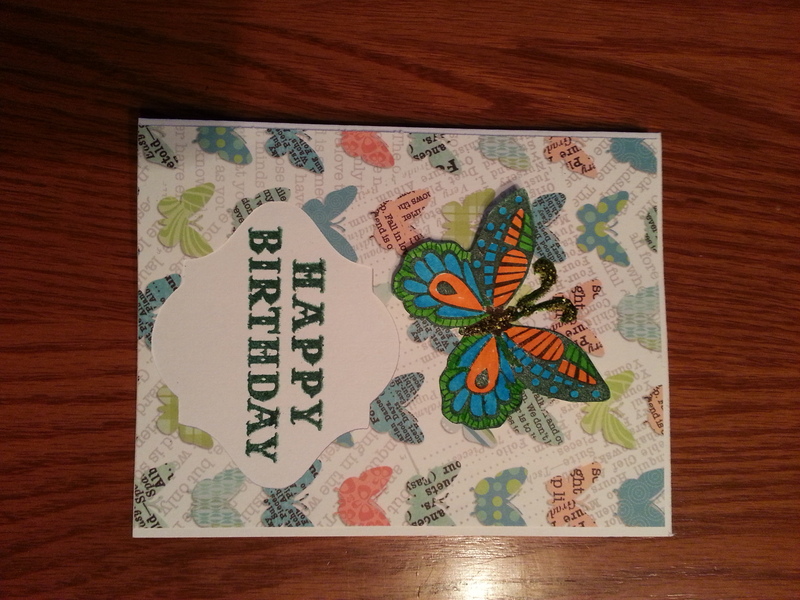 I used a Martha Stewart stamp for the butterfly, colored it with Tombow Dual Brush pens and hand cut it out. 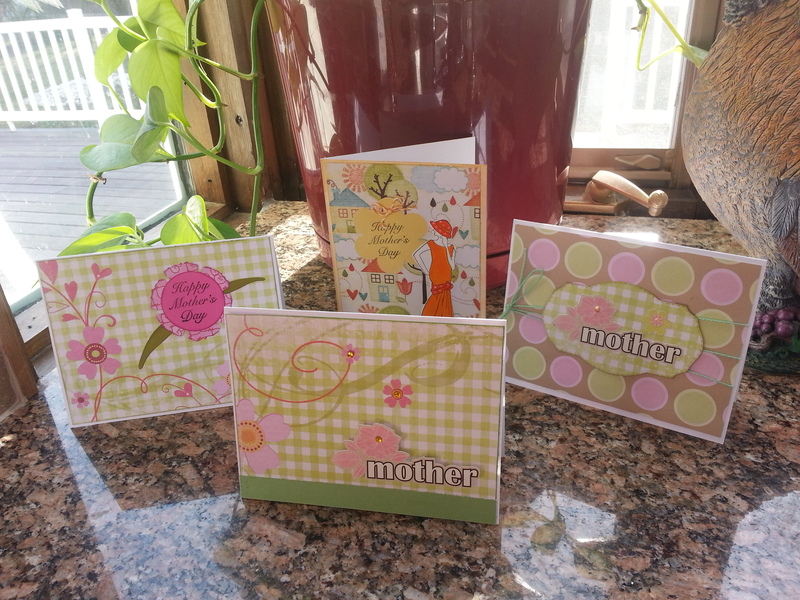 This is a quick post to show you some of the Mother’s Day cards I have been working on for Operation Write Home. 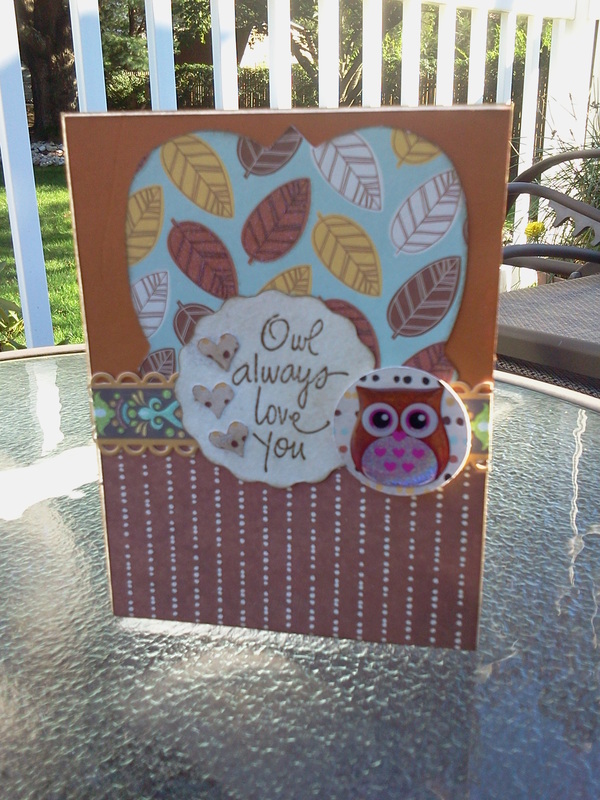 I used my Silhouette Cameo and the print and cut feature to cut out the sentiment from their on-line store. The tag was made using a My Creative Time die. The paper is from my stash. to their family and friends! I made both of these cards using the Cricut Very Merry Tags cartridge. I had a lot of fun using this cartridge and plan on making several other cards from the cuts on it. 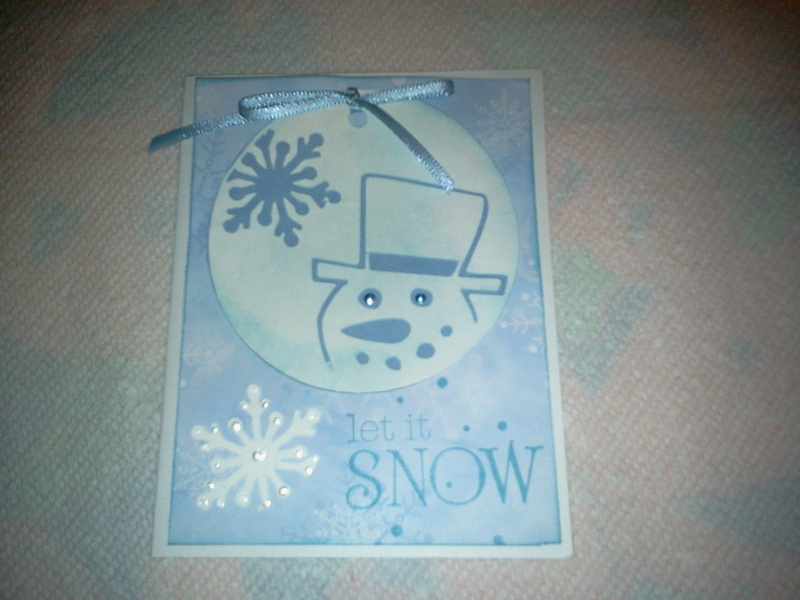 I used a little liquid pearl to add a bit of pop to the snowflake and his eyes. The second card is a try fold card. 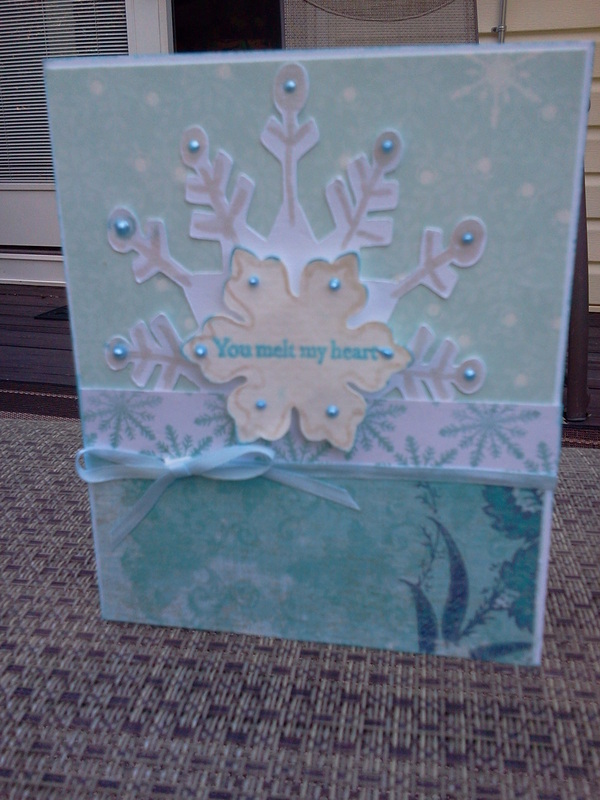 I used my cuddlebug snowflake folder for the background. I made the button with a Martha Stewart punch. 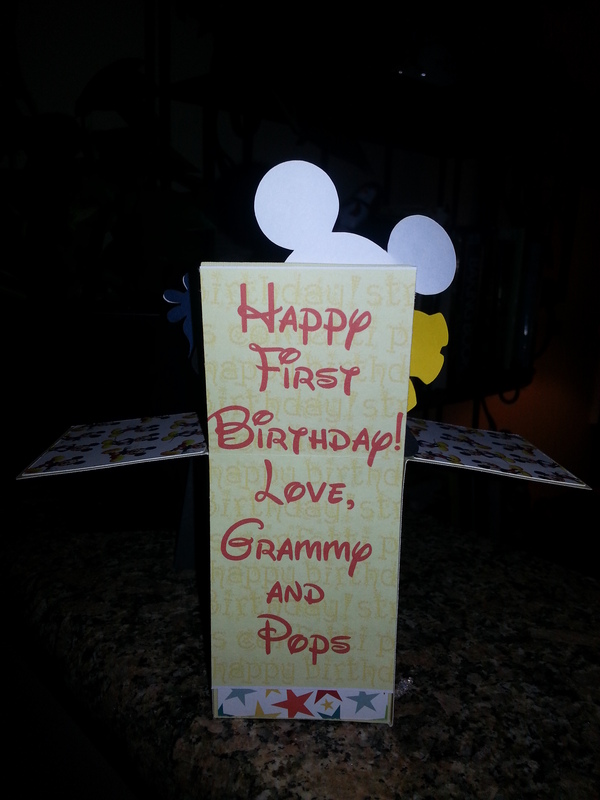 The sentiment on the first card is a Fiskars stamp. 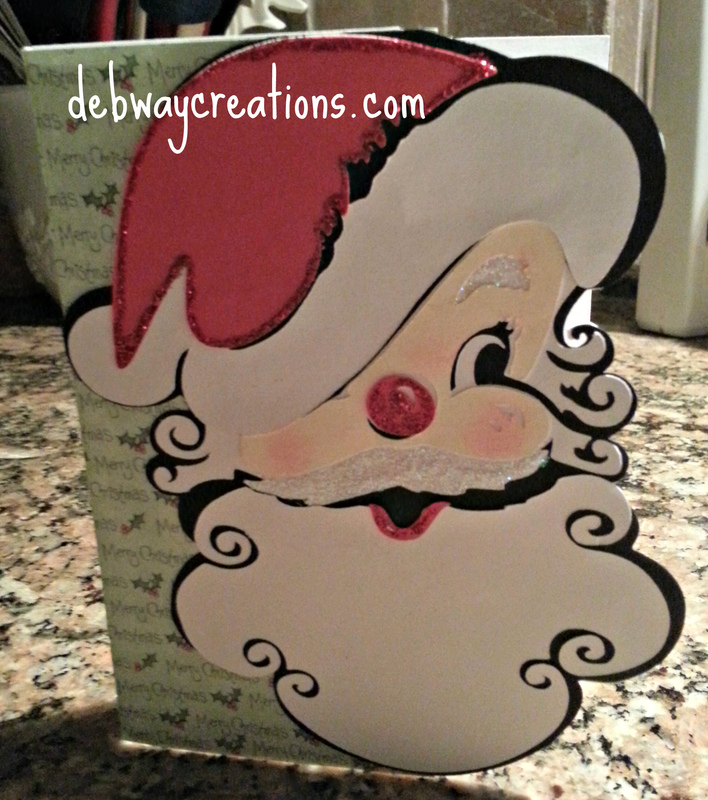 I plan on making a few more of these to include in my box of cards to OWH. 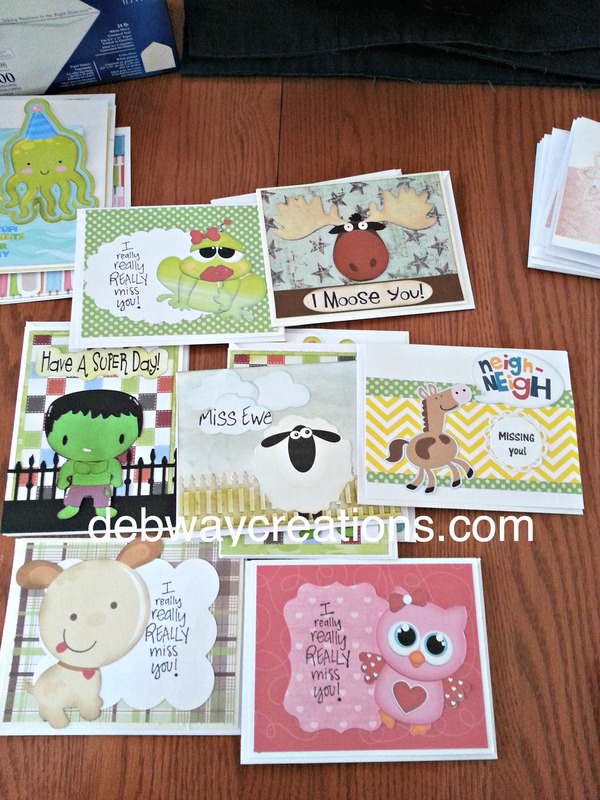 OWH Sketch Challenge #143 with Tonic Studios! Operation Write Home along with Tonic Studios has challenged us to create a card for our Troops using sketch #143. I love the blue and white colors together. The card measures 4.25 by 5.50. 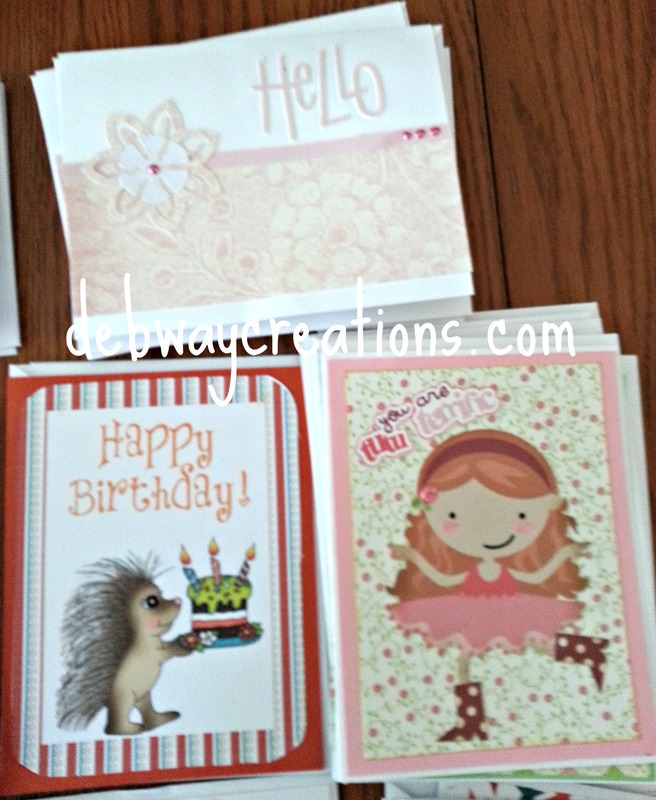 I made these cards for Operation Write Home’s blog hop. 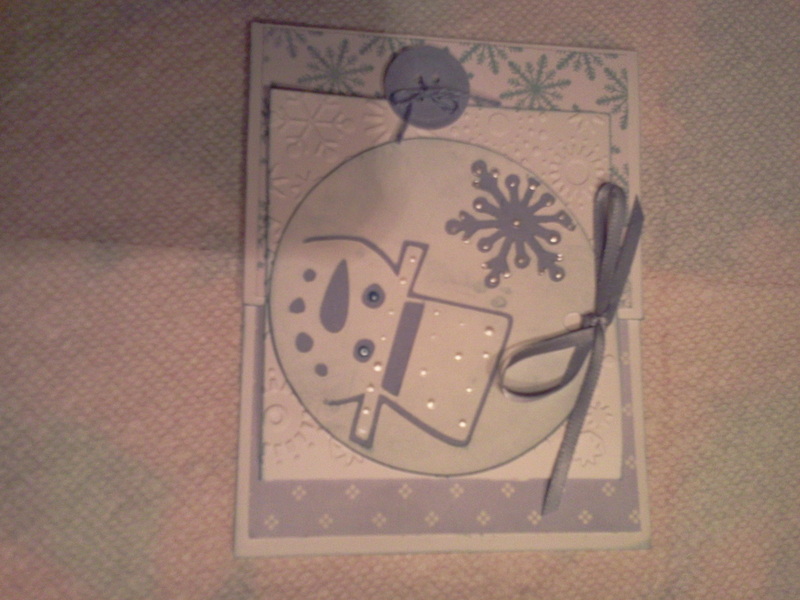 We were to use a winter theme to make cards that our heroes could use to send home to their love ones. 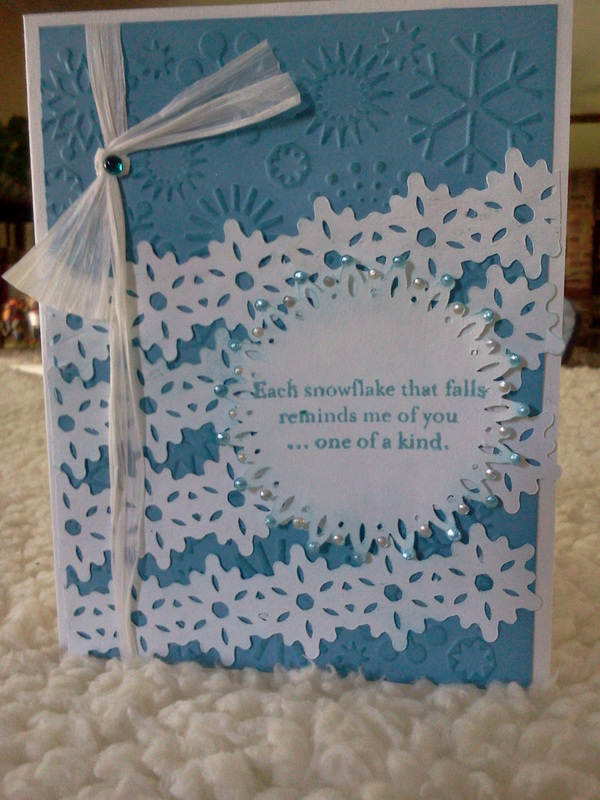 The first one is made using Close to My Heart winter sentiment and snowflakes from the Cricut Art Philosophy cartridge. I used liquid pearls to decorate the snowflakes and the ink was one of Megan’s little juicy stamp pads from Above Rubbies Studio. I love the way the colors match. 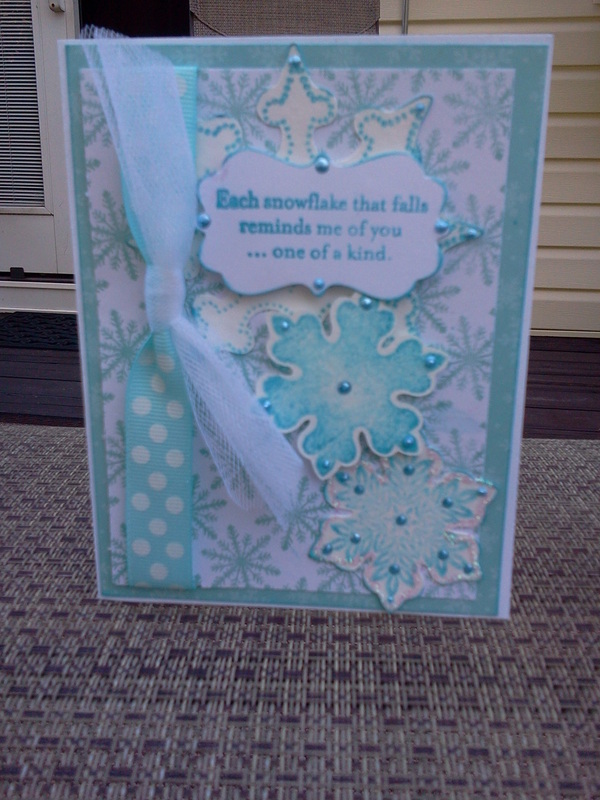 I added a little stickles to the bottom snowflake and popped up the sentiment and center snowflake to add demension. The second card was made using the same cartridge and stamp set. Only this time I used the OWH sketch 139 as my inspiration. The pattern paper is from Recollections. I used the liquid pearls again to add demension and sparkle and popped up the center snowflake. I hope you are enjoying the card hop. 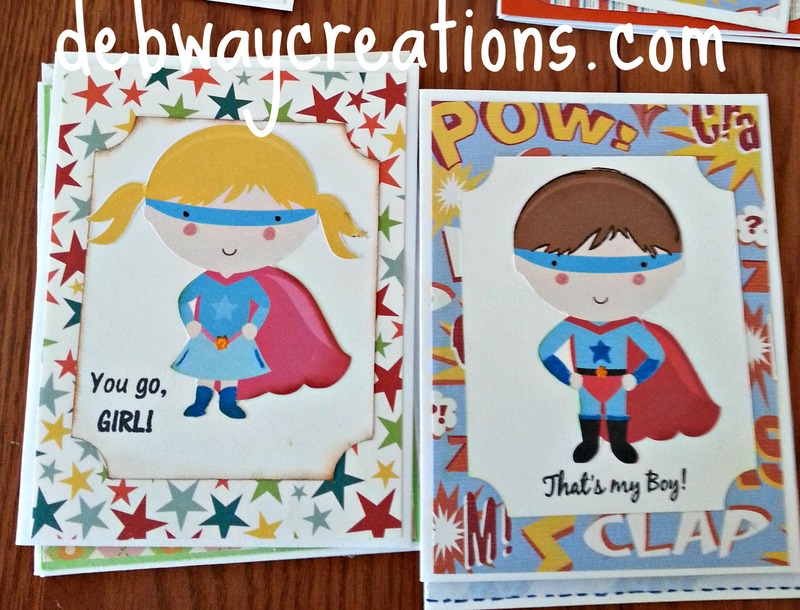 Please consider joining us in making cards for our heroes. It is our way of saying thankyou and letting them know we care. Feel free to leave a comment. I love reading them. sketch challenge #139. 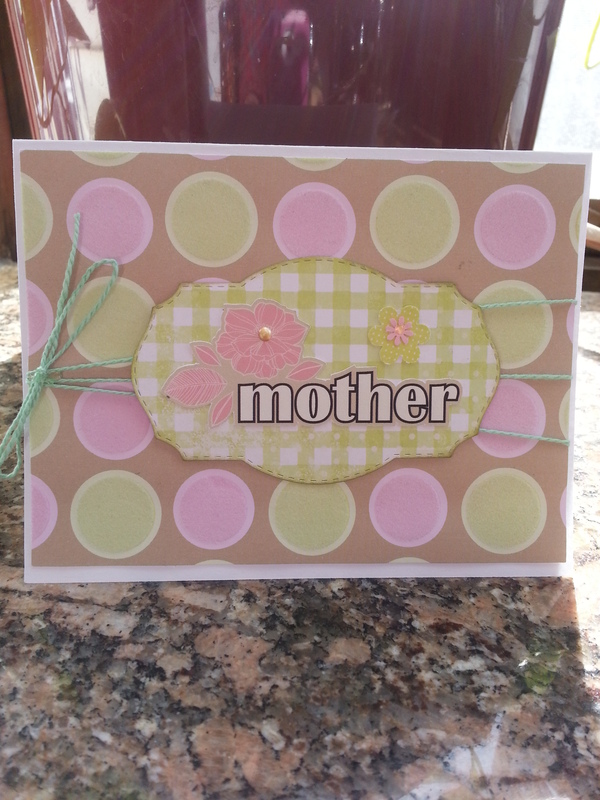 I used cricut cartridge Elegant Edges for the background cut and for the sentiment tag. The paper is from Recollections fall pack.